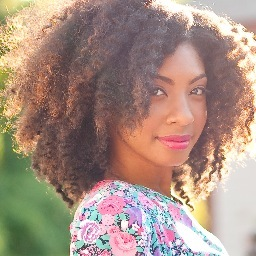 Black Bloggers Connect searched the web for the top natural hair bloggers on the rise. 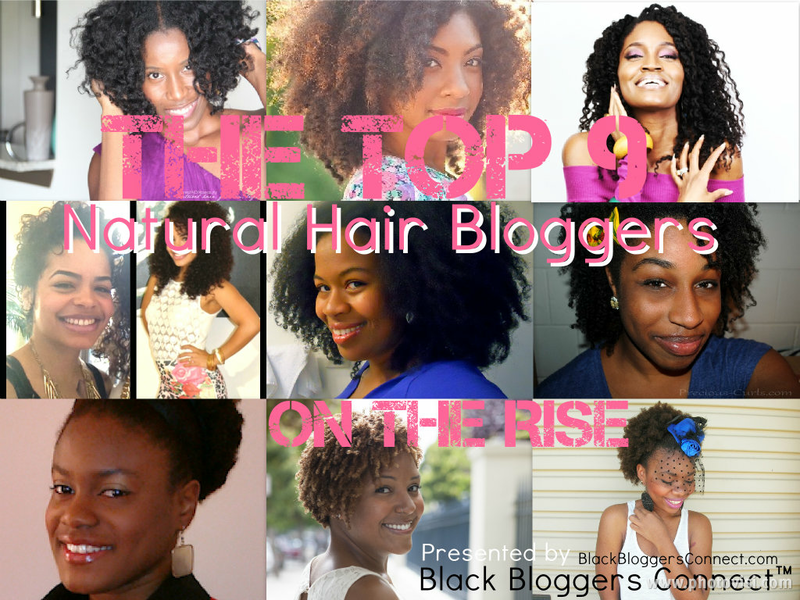 This list is comprised of the most unique & talented natural hair bloggers across the web and is in no particular order. We would like to thank all of the wonderful ladies in this feature. To all of our readers, spread the word by sharing this article’s link with your family, friends and followers. Three years ago I began NaturalSelection as a way to document my personal journey of going natural so that hopefully I could inspire others to do the same. At the time, I still had a relaxer and was in the process of transitioning so I had no idea what the end result would be for both my hair and the blog. The past three years have been a process of evolution: I’ve had over 7 distinct hair styles (with more to come!) and my blog has grown to include wellness + lifestyle content as well as events hosted regularly. I’ve also been able to travel around the world and incorporate photography so my blog has truly become my vehicle for pursuing my dreams and exploring not just my own identity, but global cultural identity. The cool thing is that through it all the blog’s original goal has remained the same: to document my journey and inspire others. Interestingly, my most popular post was not about hair care or products, but the story of a Brazilian slave named Slave Anastacia and how she inspired me to go natural on a trip to Brazil 4 years ago. I first posted it during Black History Month years ago and I think that people were captivated realization that our black history extends beyond the borders of the US and that there are many more stories that we just don’t know that impact our black experience. Sound Off: What needs more attention? Health and wellness! 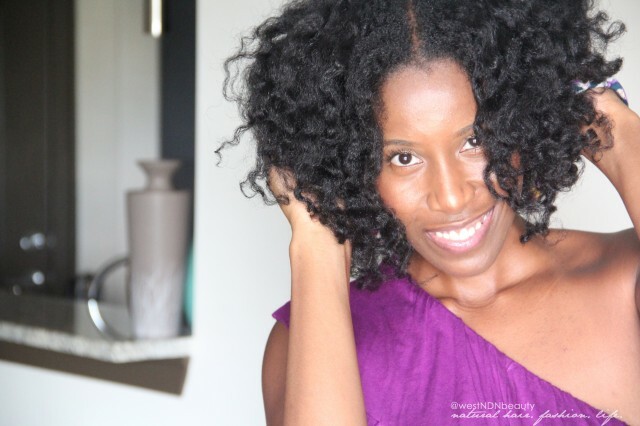 Many natural hair blogs are just focused on natural hair care tips, styling techniques and products, but what I’ve learned is that to have healthy hair (regardless of texture) you truly need to focus on your body. It’s a concept and a series on my blog that I call “Natural From Within”. Hair grows OUT of our body therefore it is what we put INTO our bodies that matters when it comes to healthy hair. Even if you’re using the best conditioner in the world, if you’re not drinking water, your hair will not be hydrated. I’ve begun to talk more about the importance of total wellness, not just in terms of natural hair, but also as black women. We belong to communities where there are epidemics of diabetes and heart disease so building awareness and practical solutions that people can follow is key. I created ShesCurly for more reasons than curls. Even though curly/natural hair is where it began, it has always been directed toward positivity, advice and loving yourself…your true self. Hell, finding out who/what our true self even is! Honestly, ShesCurly is a big part of me and my heart now and I truly appreciate all the love that is given consistently. One of my most popular posts was regarding a particular hair growth supplement. I’m sure the popularity of it has to do with the fact that we…we being women of all shapes, sizes and colors…have been quite obsessed and connected toward long hair and wanting our hair to grow more quickly and to be more thick. I personally find nothing wrong with that. Whatever floats your boat! Natural hair to me is beauty and realizing who we really are. Sure, natural hair was something you rarely saw years ago within certain communities. I’m proud to be a part of this movement but now it can sometimes seem like the natural hair community will judge another for coloring their hair or putting a flat iron on it occasionally. This this, I say CHILL! Yes, we should love and embrace our natural selves whether it be kinks, curls, complexion, height, weight, past and present. But does this mean we are NOT ourselves because we want a change in hairstyle for a while? I think we should appreciate that we are, can be and will remain diverse. I started my blog to document my natural hair journey and to gather all of the info I found about hair care. 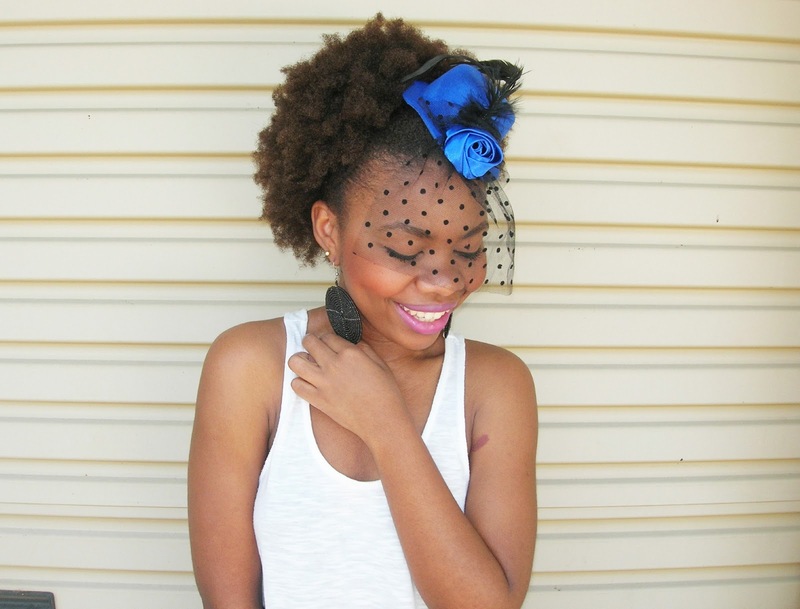 I also began to feature others with natural hair, share hairstyle tutorials, and post inspirational photos in hopes of inspiring others in their natural hair journey! 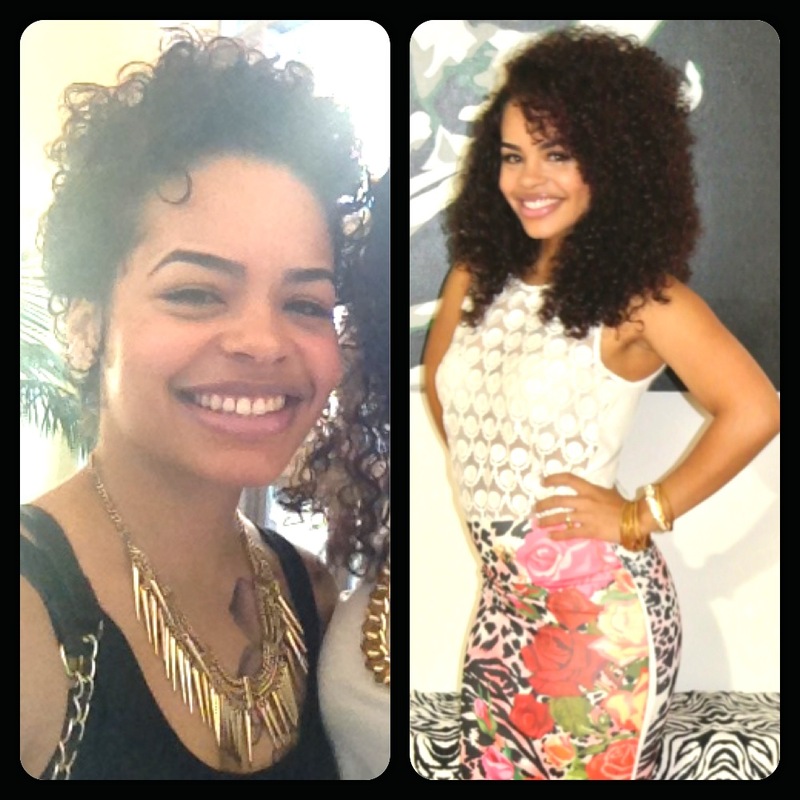 My most popular post at this time is my SheaMoisture Curl Enhancing Smoothie product review. I got some pretty amazing results using this product on my hair, so I’m guessing that’s why it became popular! I think that we need to discuss the importance of trying inexpensive, drug-store products before going after the luxurious hair care product lines. Many new naturals hear wonderful things about the expensive hair products and end up wasting a lot of money on products that don’t work. Trying out the cheaper products will save them lots of time and money, and guess what – the cheaper products CAN and DO indeed work the same wonders that expensive products can! 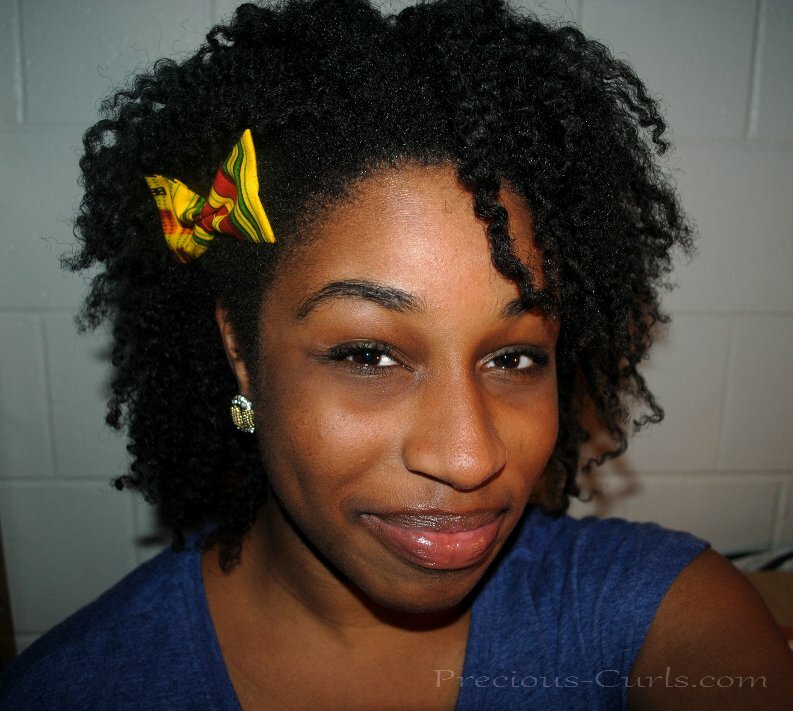 I started blogging about my natural hair back in 2004. I don’t think we were calling it blogging back then. Anywho, I’ve always been one to document things that were of major significance to me. 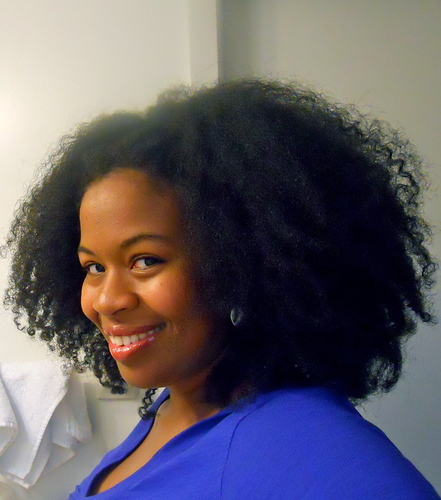 So, how could I not document my natural hair journey? Fast forward 8+ years later, I’m glad that I did. readers to share their stories and encourage one another. Accepting your hair “as is” and not trying to get it to do thing that it’s not meant to or will never do, needs to be discussed more often. My blog was originally an extension of my YouTube channel; I began that because I was always questioned by others about my hair styles. I’d try to explain how to achieve it and I’d get the blank stare. The visuals/tutorials made my explanations much easier to understand and even easier to explain.As my channel grew, I wanted to share just a bit more about what I knew related to beauty, fashion, etc. and do so more often than my sporadic video uploads. Today my blog works in conjunction with my YouTube channel. Not only do I share the latest fashion trends and beauty tips, but when I post a YouTube style tutorial, you can find loads of photos and product information in a corresponding blog post. My most popular blog post happens to be A Natural’s Recipe for Successfully Flat Ironed Hair. I gather it’s popular for a few reasons: (1) natural hair is quite versatile and we sometimes want to change things up a bit, (2) eluding the frizzy, puff ball is highly desired by many kitchen beauticians like myself, and (3) heat damage is the devil! When I decided to transition to natural, I came across so much information that I was quite overwhelmed. It meant a huge upheaval. So I thought the best way was to document it all in one place online, so I can keep track of what products my hair responds well to, what styles looked nice, how I was feeling about things etc. It was originally meant for my and a couple of friends’ eyes only. I made it public in September last year in case there were other women who felt as overwhelmed as I first did. Also, there are very few natural hair bloggers based in South Africa and although we can be inspired by bloggers elsewhere, many of us don’t have access to the same products as they have, say in the US. So I had to find my own equivalents and thought it could be helpful to share that info. I also figured, if there’s one woman out there who’s inspired to keep her fro because of seeing mine, then I’d be happy. 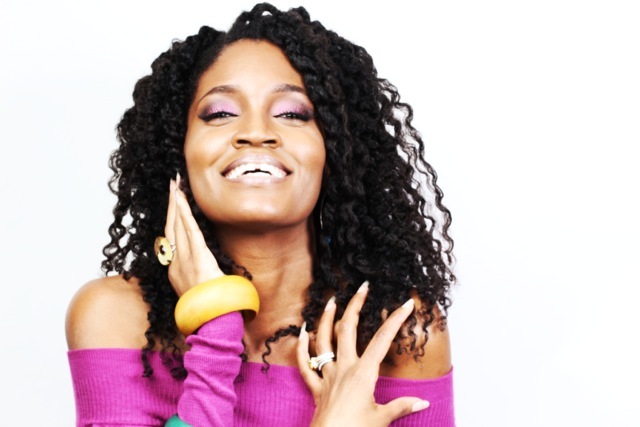 In November 2012, I wrote a post called “Curl Care” by Dr. Miracle’s Has Made Me Mad! That has definitely received the most hits because I ranted about a magazine ad that I came across advertising this new range of products. They inferred that the range was for women with natural hair but the model they chose to use appeared to have a weave or some kind of hair extensions installed. This made me so angry and I think my blog rant was so popular because other women related to my opinion. Natural or not, as a Black woman, I felt belittled and not important enough. I as disappointed that a company as influential as Dr. Miracle’s chose to represent us in a false light. I know that most hair and beauty ads have additional hair and airbrushing etc. but I felt that the marketing team in this case didn’t do their research. Many women don’t have natural hair that looks like the model’s and there are so many natural women with beautiful hair. Why couldn’t they use one of them? For me, the ad implied that even though we’re natural now, our hair still needs to have a certain curl pattern and look before being considered beautiful and appealing. I thought it was an opportunity wasted on Dr. Miracle’s part. There is a growing market comprised of women who are hungry for products, information and marketing targeting them and their natural hair. In terms of being a relatable campaign, I think Dr. Miracle’s totally missed the mark. I feel like many blogs and sites have covered most issues. The only thing I’ve noticed could do with more attention is natural hair styles for weddings. That’s for brides and bridesmaids. I’ve only come across one blog that has a natural bride section so I think there could be more. For many women, being natural is so new and it’s common to struggle to feel inspired and do certain styles. Every woman wants to look her best on her wedding day and it would be great for there to be more ideas on how to wear your own hair without feeling pressured to straighten it or wear extensions on your special day. learned so much from the information that was shared by other bloggers that I felt impelled to share my own journey with the hope that it would do the same for others. 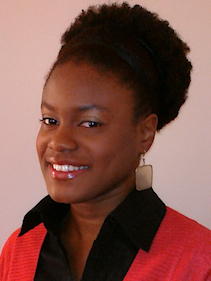 My most popular post is one entitled “Mae’s Top Ten Tips for Healthy Natural Hair Care”. In this post, I shared helpful tips that I have picked up over the years when it comes to caring for my hair and I feel that it resonated with people looking for ways to improve the health of their own hair. There is no shortage of talk about hair products, but I think there needs to be more talk about the importance of technique when it comes to cleansing/styling our hair and what factors truly constitute healthy hair. More knowledge in these areas will give a more well-rounded view of a healthy hair care routine. Back on 2006 there were only three popular websites, and a few resources like foki hair journals sprinkled all over the web. Everywhere I went,strangers would stop and ask me questions about my natural hair. I wanted to share with my new friends my new knowledge obtained over the last few years. But let’s face it, it was just not possible. 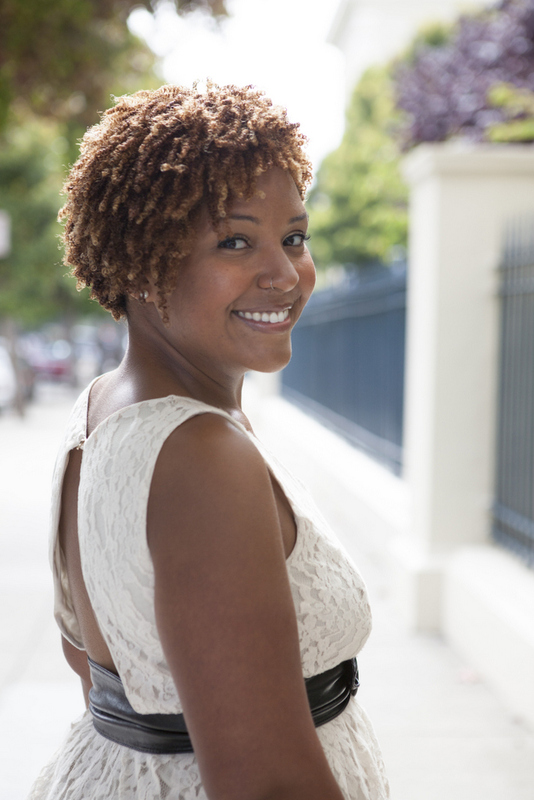 Kinnks.com was first born as a natural hair directory, providing a one stop resource for all things natural hair. I later created a blog to provide my own commentary, and it became more popular than the directory. While we no longer have the directory, we added an event calendar to try and keep track with all the natural hair inspired events. Our most recent, most viewed post is “One White Man’s View of Our Hair.” When it comes to interracial dating, what could be more racially identifying than hair? People are very interested to know, how do other races REALLY perceive our hair. You know, the behind closed doors view. Unity.I would like to see a natural hair association. An association that can weed out all the posers; provide training, certification and regulation when necessary. Anyone can say they are a natural hair guru, but there is no official authority. I started blogging about natural hair because since the beginning of my natural hair journey, I’d always felt self conscious or unsure. I always thought that only professionals could “handle” natural hair and that I’d never get the hang of it. Once I started seeing progress in both my hair and my styling abilities, I wanted to share my experiences to let people know that natural hair is not rocket science or something foreign. It’s a part of us. I wanted to disprove a lot of the myths that African Americans have about their hair. I also started blogging because I love hair. I love talking about it, I love accessorizing it, I love playing with it. My most popular post would probably be “Texture Softeners”. In it, I discuss what texture softeners or texturizers are. A lot people, myself included, fall into the trap of going natural only to turn to one of these products for “manageability” .What they don’t realize is that these are simply relaxers with a different name. The reason they think this is because the advertising is often ambiguous in describing the product. I think a lot of people are researching these products when it brings them to my blog and gives them some information they may not have expected. So much focus is placed on women these days going natural. We have so many blog posts and articles about things that used to be ignored: natural hair in the workplace, natural hair and significant others, natural hair in the military. Thankfully, these issues have been brought more to light in the last few years. However, most African American men are natural though they usually wear their hair short. I think a good focus would be longer natural hair for men…what it means to them, caring for it, how their loved ones feel about it. Men need some hair love too!